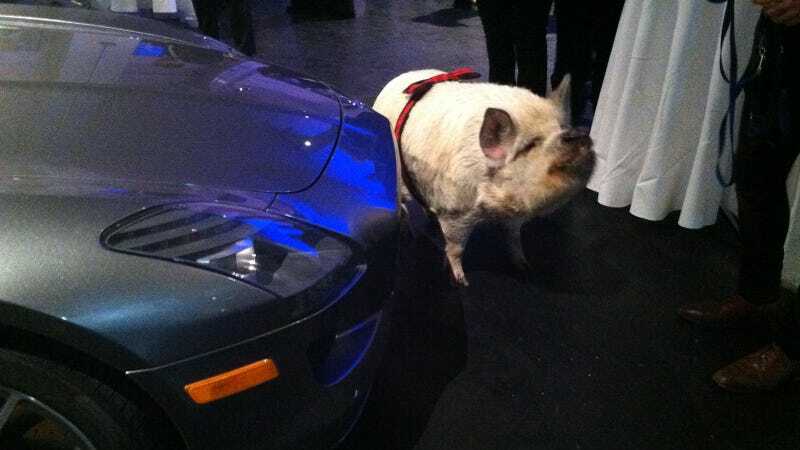 At the Classic Car Club Manhattan the other night, there were portly little piggies. Here's one sidled up with an AMG Gullwing. Squee!